When creating an information or game audio, you need to clearly understand the end user. The target audience is one of the most important aspects when writing a product called radio advertising! It is your circle of listeners that determines the direction of work and the choice of the announcer. If you advertise an elite auto show, then the male voice delivered will sound beautiful and prestigious. If you want to make an advertising video about the opening of the Beauty Salon, then perhaps a young female voice will be able to add charm and charm to the audio products. 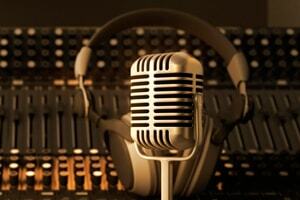 The choice of voice, announcer for the production of radio advertising is an important and key stage. Pay attention not only to the timbre of the voice of the announcer, but also to the quality of speech, the ability to correctly build intonations. The big plus of the announcer when recording game audio clips, image advertising is his ability to get used to the role, to play a character – this too, pay attention. Dry reading of texts, without paint, emotions, can not interest the listener. A good text is the key to success! No less serious moment is the text. Trust the creation of a scenario for professionals. Only people with a lot of experience in writing advertising texts will be able to perform this responsible work. Entry, the bulk of the spot, highlighting the merits of the advertised product, a bright finale – these are the main components of radio advertising. The text should be understandable, memorable. It is necessary to avoid complex turns of speech, heavy in the construction of sentences. Brevity is the soul of wit. This famous saying in the production of advertising for the radio doubles its meaning. To record a bright, beautiful audio clip and to keep within the allotted time means to save your advertising budget. Before the sound engineer is the task to make an audio clip qualitative and modern. Here various libraries come to help. At the disposal of the studio AUDIOPRODUCTION. RU there are extensive music libraries – we can find the right melody for your radio advertisement. And also for lending brightness, intonation selection, emphasizing the situation, you need to use sound libraries or SFX libraries. Various noises: nature, sea, forest, birds singing, man-made sounds, various interruptions with competent use very decorate audio production. Sometimes finding the right sound is a very difficult task and the sound engineer takes a long time to find him. But, often, the quality of the advertising spot significantly increases with the competent use of SFX-libraries. Radio advertising becomes bright, modern, attracting a potential client.